Stolen vehicles and parts, help us track them down! My bike was stolen at around 7am on Monday the 27th of January from my backyard shed at my house on Rocket St, Bathurst. 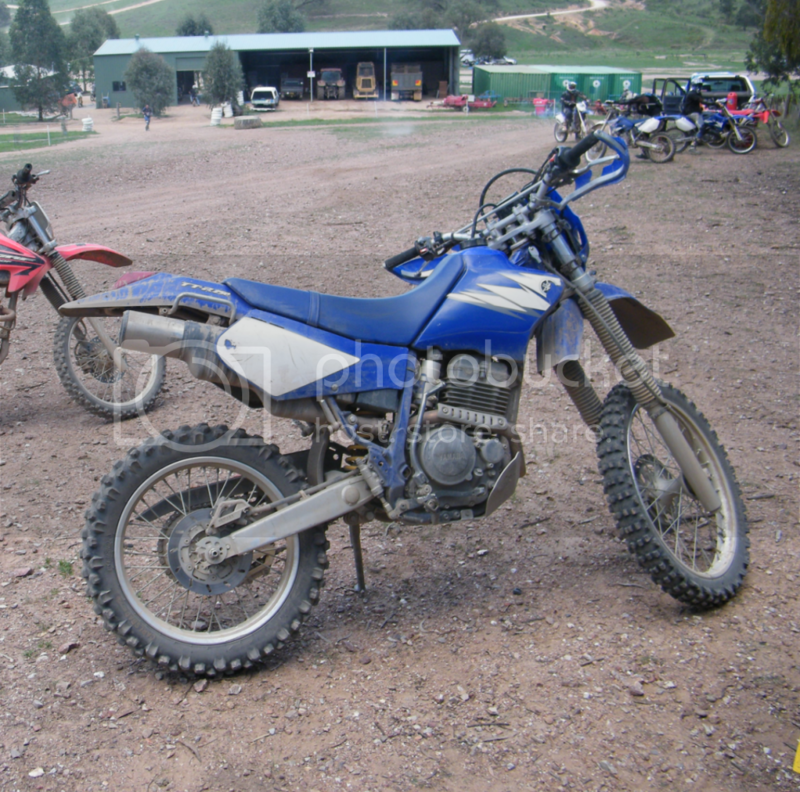 It's a 2005 Yamaha TTR250, rego number OHN49. It has blue eGo barkbusters, a B&B Engineering bashplate, Barrett exhaust, LED indicators on the front and rear mud guards. Speedometer and intrumentation is missing as is the rear number plate mounting/light assembly. Number plate mounted to the rear guard. Seat has triangle shaped tear in the side. Metzler front tyre, rear may have been Pirelli but not sure. Can't recall anything else significant. If you see or hear anything please let myself or Bathurst police know. I can be contacted on 0412 355 327. It was not insured so if it's gone it's gone. The pic supplied is an old pic however the bike is the same with the exception of the exhaust as explained above. Possible lead on facebook, the bike may now be sprayed black.